“A small game board containing numbers and letters used by spiritists to contact the souls of the departed during a séance. Participants sit at a table around the Ouija board and place hands on a ‘pointer.’ The pointer is then moved around the board to various letters [allegedly] by the visiting spirit(s). The resulting message [supposedly] is the communication desired from the supernatural spirit world” (Mather, 217). 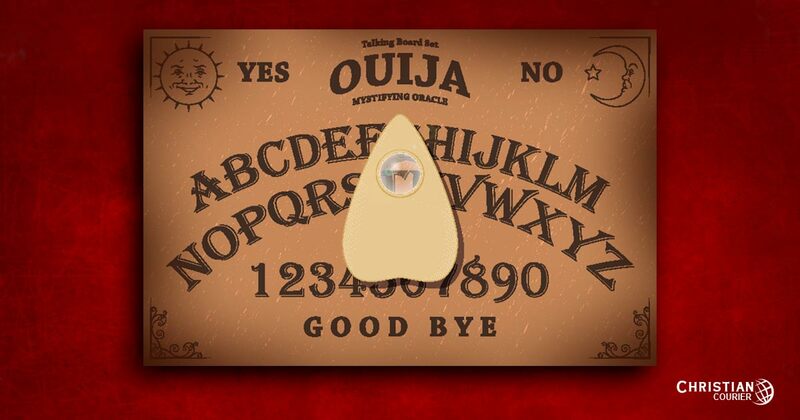 Attempting to contact the dead by means of a Ouija Board is a practice that is in violation of several biblical principles. Let us briefly illustrate this by appealing to passages from both Testaments of the Bible. “When they say to you, ‘Consult the mediums and the spiritists who whisper and mutter,’ should not a people consult their God? Should they consult the dead on behalf of the living?” (Isa. 8:19 – NASB). Heathen people have always attempted to communicate with the dead. Among the Assyrians and Babylonians it was even customary for relatives to provide food and drink at the graves of their departed loved ones. Attempts to contact the dead were condemned by the prophets of God (see: Lev. 19:31; 20:6,27; Deut. 18:10-11). In Galatians 5:19ff, certain “works of the flesh” are condemned. One of these is “sorcery.” Among the things embraced by this term is the “pretended communication with invisible malignant powers” (MacKnight, 301). Ancient sorcery and modern “spiritism” have much in common. In addition to being in violation of the explicit warnings of Scripture, the practice of seeking communication with the dead is futile. The dead cannot advise the living concerning earthly activities because, as the biblical record notes: “the dead know not anything ... under the sun” (Eccl. 9:5—6). When a person dies, he is cut off from all scenes of earthly activity. Not even the great saints of antiquity are cognizant of our present plight. “Abraham knows us not” (cf. Isa. 63:16). The rich man of Luke 16 certainly was not able to contact his earthly brothers. Otherwise, he would not have petitioned “father Abraham” to send Lazarus to them —a request, incidentally, which was refused (Lk. 16:27ff). It is a grievous tragedy that many people are enmeshed in antiquated superstition. But when people turn away from the Bible as the source of supernatural information, experience demonstrates they do not believe simply in nothing; they believe in anything! MacKnight, James. 1954. Apostolical Epistles, Gospel Advocate: Nashville, TN.